ABOUT THE WILLIAM WARREN GROUP, INC. 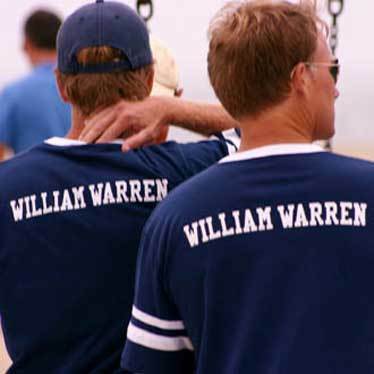 The William Warren Group, Inc. (WWG) is a privately held, entrepreneurial self storage development, acquisition, property, and asset management company based in Santa Monica, CA. Since our inception in 1994, our focus has been on investments in major metro markets across the United States that offer significant cash flow, revenue growth, and long-term capital appreciation opportunities. Led by a field of investment professionals with over 75 years of combined experience, and a team of over 400 employees nationwide, WWG takes exceptional customer service to new heights, introduces unique concepts to the market, and maximizes profitability for investors, all within a fun and inspiring team environment. Our MISSION is simple. Get out there, discover, help others and lead a more awesome life. The William Warren Group aspires to make waves as an innovative real estate company in the self-storage industry. We work as hard as we play and thrive on originality and the spirit of possibility. We take exceptional customer service to new heights, introduce unique concepts to the market, maximize profitability for our investors, and create a fun and inspiring team environment. Meet our staff! Our team at The William Warren Group is dedicated, professional, and ready to help you with all of your storage needs! The company offers a variety of employment opportunities at the Corporate Headquarters in Santa Monica, CA, its Regional Offices, and at the various real estate assets within its portfolio. The William Warren Group is a proud affiliate of the following industry partners.